Introducing our 4 hour quotes and 48 hour delivery service! We know that when it comes to installing windows and doors, time is money. That’s why we offer reliability, speed and PVCu trade products that are spot-on. 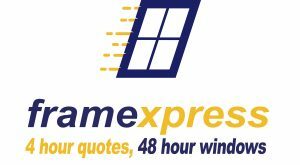 At Framexpress, our installers can get 4 hour quotes, with delivery in as little as 48 hours on our range of white PVCu windows, entrance doors and Patiomaster sliding doors. We’re focused on delivering the best service for fitters. We want to help installers to fit more jobs in every week, helping to win more business and grow their companies. PVCu windows and doors remain the top choice for homeowners, and there has never been a better time to invest in the PVCu trade market. There is access to great quality, good looking products, faster delivery and all the trade support that you could need. Our fitter-friendly PVCu windows and doors are manufactured ready to install, with simple specifications, innovative design and a choice of popular colours, with the benefit of faster lead times. Great designs, strong and durable frames, and delivered in just 48 hours! We know that many installers spend a lot of time fitting white PVCu windows, which is why we created our fast quotes and delivery service. Installers can get white PVCu trade windows fast, with quotes in as little as 4 hours and delivery from 48 hours. Our Optima PVCu trade entrance doors combine great designs with high security standards and thermal efficiency, making them ideal for any property. We’ve added our white PVCu entrance doors to our 4 hour quotes and 48 hour delivery service so that installers can offer a fast, seamless service when fitting white windows and doors together. The stunning slimline Patiomaster sliding door is known as one of the best inline sliding PVCu patio door systems on the market, that’s why we knew we needed to make it easily available with fast lead times for customers. As the Patiomaster dealer for the West Midlands, we get quotes for white PVCu Patiomaster doors back to you in just 4 hours, with delivery available in as little as 48 hours. We’re always on hand to offer you advice on our PVCu windows and doors, and to return your quotes back to you in 4 hours. We know that being open 9-5 doesn’t quite cut it when you’re in need of fast quotes and advice on our products and services, that’s why we have our early morning and late night quote service. Our quotation team are available from 7.30am to 9pm Monday to Thursday, and 7.30am to 7pm on Fridays, so that you can get in touch with us at a time that is best for you – it’s all part of our hassle-free promise! We manufacture our impressive range of PVCu trade products in the Midlands at our state-of-the-art manufacturing facility in Telford. We only use the best-quality components and machinery in our factory so that we can guarantee products will be delivered ready to install, on time in as little as two days. If you would like to get a 4 hour quote for white PVCu windows, doors and Patiomaster sliding doors, you can visit our website or call our team on 01952 581100.